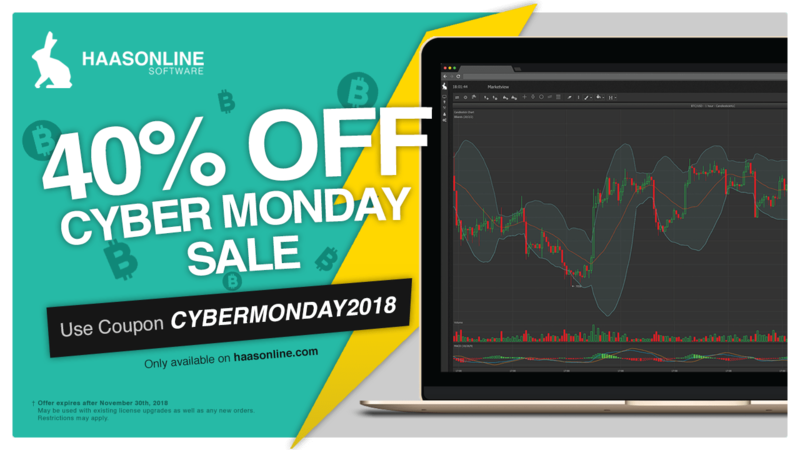 During our Cyber Monday sales event we’re offering, for a limited time, a 40% discount on all HaasOnline Trading Server licenses. 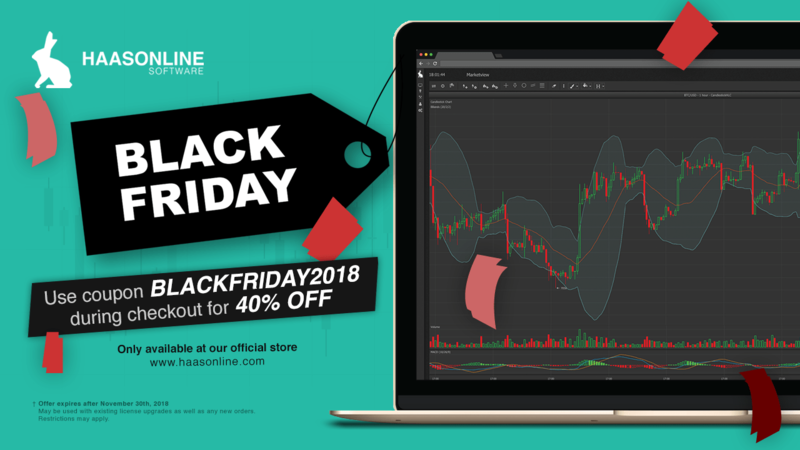 You can now finally get your hands on the #1 trusted crypto trading bot platform on the market, including an advanced license, for as little as 0.016 BTC* a month. If you’re already an existing HaasBot customer this may be the perfect time for you to upgrade your license(s) to an advanced license using this deep discount.